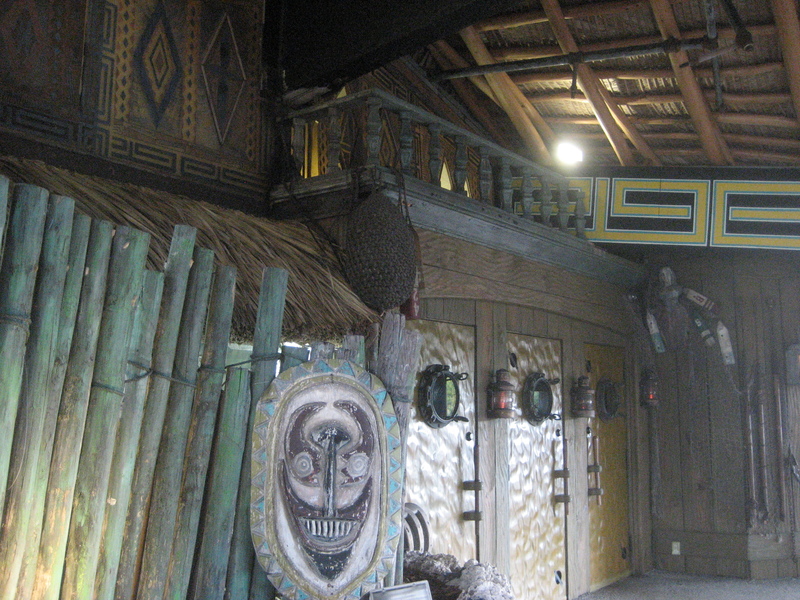 The Mai-Kai is one of the most impressive (and last remaining) original Polynesia-inspired palaces. 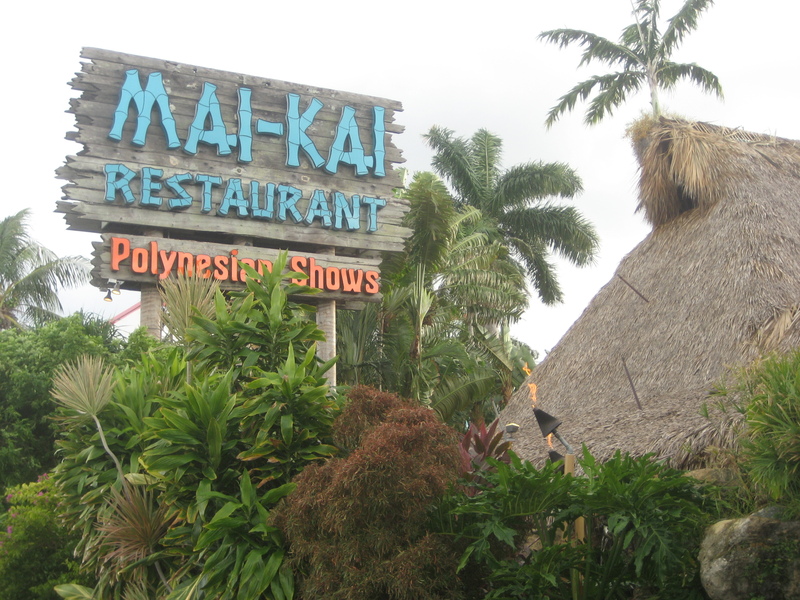 For more than fifty years its thatched A-frame has stood on a once remote (now industrial) stretch of highway in Fort Lauderdale. Spending an evening here is not just dinner, it’s an event. 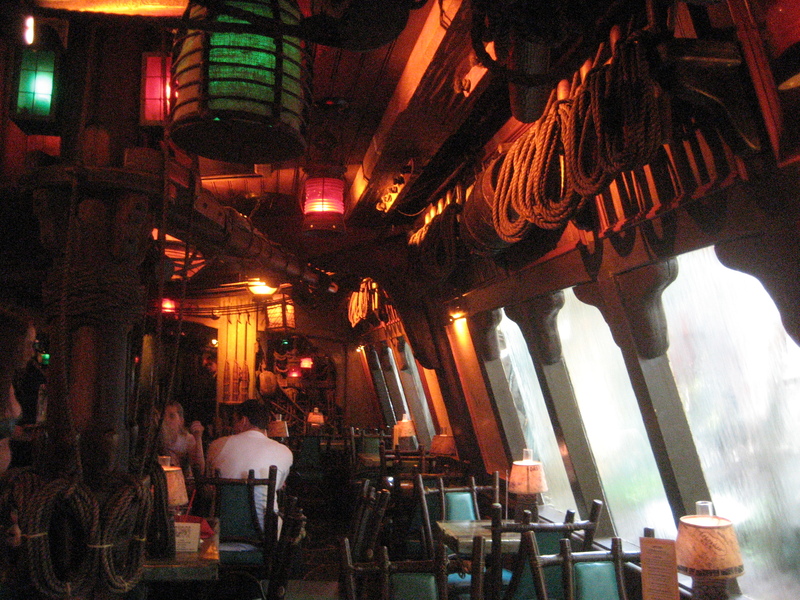 And you must start off in the Molokai Bar, which resembles the belly of a storm-faring ship complete with carved wooden figureheads, rigging and nautical lanterns. Simulated rain streams down the angled windows, adding to the sense of escapism. 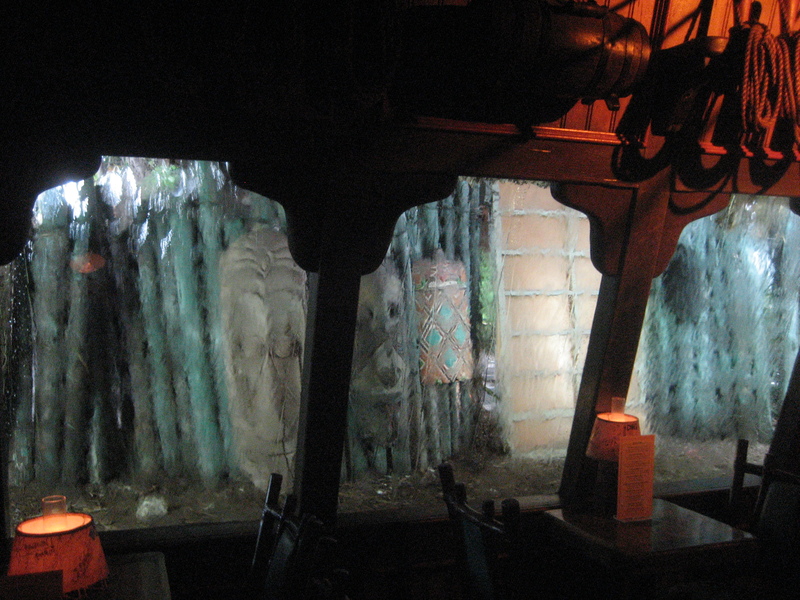 And there are plenty of tikis out there to spot, too. 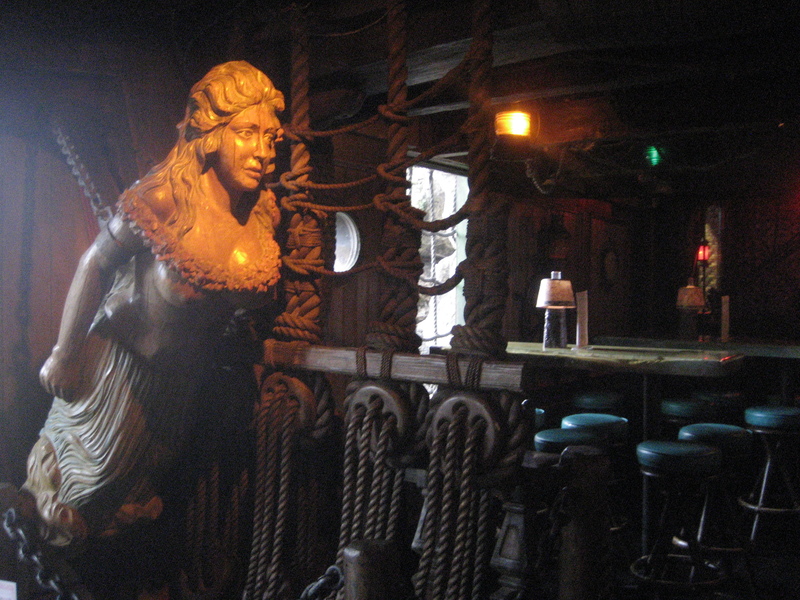 You might be so distracted by the surroundings (and the bandeau/sarong-draped lady servers) that you don’t even notice there aren’t any bartenders around. 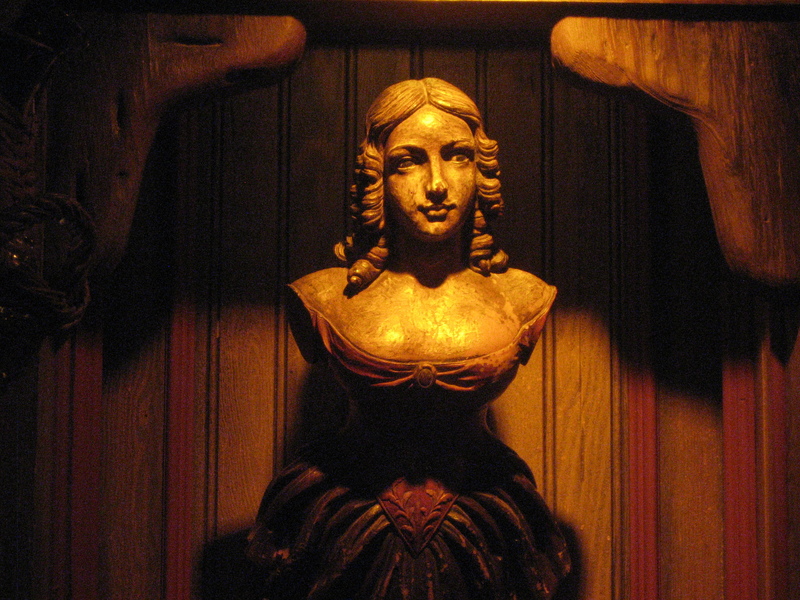 Rather, they’re kept behind closed doors in part to preserve the long-held secrets of the recipes. Mariano Licudine, a former Don the Beachcomber bartender, created the cocktail menu with variations of Don’s drinks and new signatures like the Derby Daiquiri and Mystery Drink (more on that later). 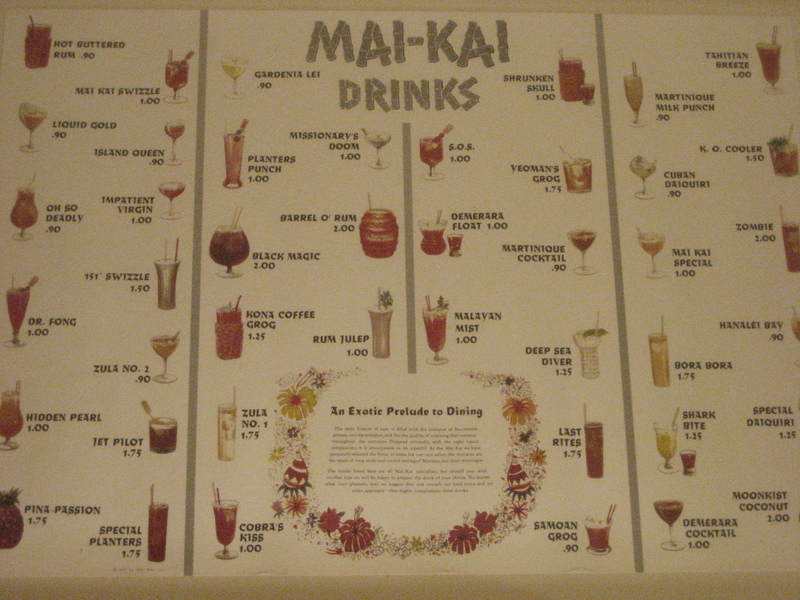 I picked up this repro of a vintage menu in the gift shop. Happy hour is from 5 p.m.-7 p.m. Tuesday through Sunday and appetizers and almost all the drinks are half price. As advertised and classified, the Jet Pilot ($6.50) was seriously potent. Mr. 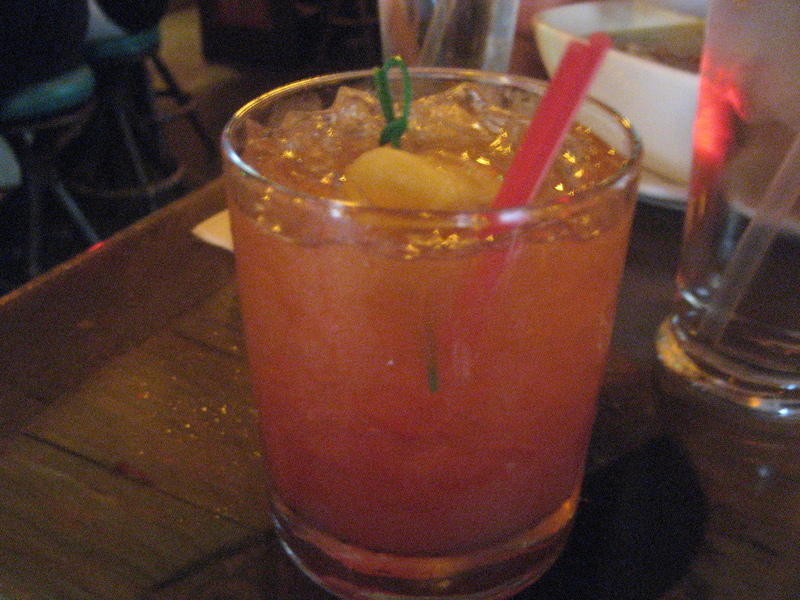 Baseball opted for the non-alcoholic Tropical Punch ($3.25) which is made with pineapple juice, passionfruit syrup and guava and papaya nectars, according to this article. 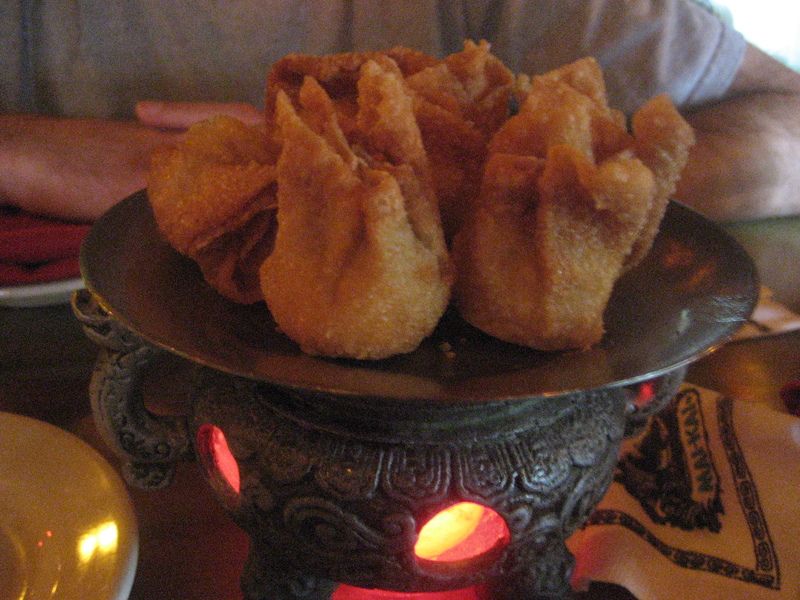 We also ordered the won ton soup ($3.25) and my favorite Polynesian app: crab rangoon ($4.75) flavored with cheese and curry and served with barbecue, sweet and sour and hot mustard. There’s lots of other fried delights, including intriguing things called Tahitian cheese tangs, plus oysters Rockefeller and even escargots. 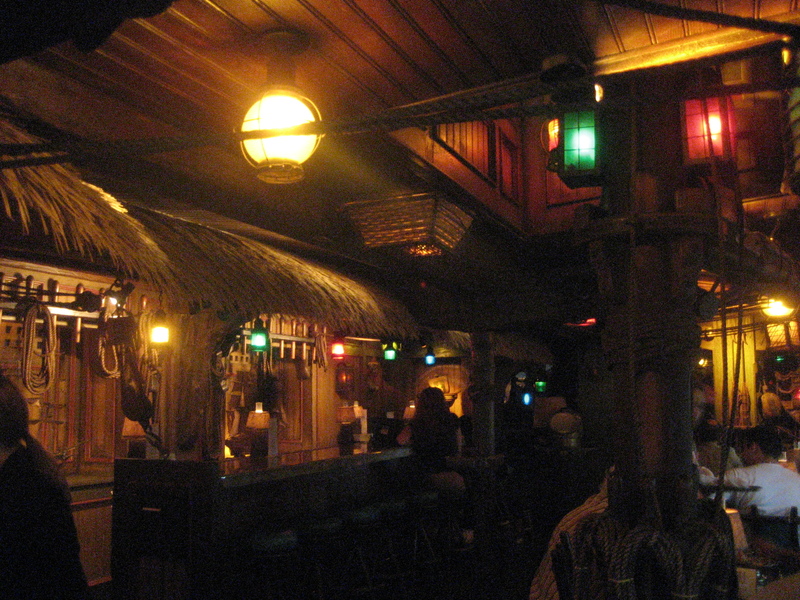 Happy hour at the Molokai Bar was just the beginning of our night at the magical Mai-Kai. There’s still the garden and dinner and show and, of course, more cocktails. Becky, darling, where do you find these places?! I’m getting hungry and thirsty just reading.